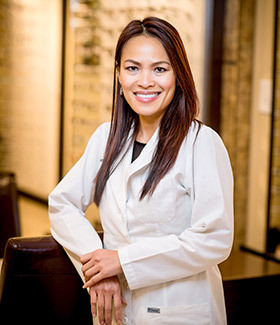 Dr. Vivian Nguyen received her Doctor of Optometry degree in 2004 from University of Houston, College of Optometry. She practiced in Duluth, GA from 2004-2005. Then, she has been caring for patients in Fairfax, Virginia since 2005. As an independent doctor of optometry, she currently sees patients at her office in Fairfax City. Dr. Nguyen has extensive experience in family eye care, including dry eye management, children's eye examination, adult eye care, contact lens fitting, eye surgery co-management, and computer vision problem-solving. Dr. Nguyen is licensed and board certified in ocular pharmaceutical and therapeutic agents. Her training and experience allow her to diagnose, treat, and manage or co-manage all eye conditions. She works closely with local eye specialists and surgeons in order to help give her patients the best care.